DMV – The She Got Game Classic has grown into one of the biggest High School events in the country. This year’s version featured 117 teams from the US and Canada playing over a 3 day period at 7 different venues. Over 100 different college coaches attended and it was a who’s who of evaluators with many of the big names in wbb media on hand including Dan Olson of CGBR/ESPN, Bret McCormick of ASGR, Joe Fenelon of NYGHoops/Blue Star, Kevin Lynch/Mark Lewis/Lisa Bodine/Travis Ponton of Blue Star, Meri Davis/Lamont Taylor of Get Me Recruited, Harry Elifison of Pass, Al Schell of 695Hoops, Tink Butler of Next Sports Phenom, Jason Key of Premier Basketball Report, Derrick McKeiver of Tri-State Media, Lonnie Hill of G-Thing Basketball, the crew of PSB, and of course the guru Basketball Bob Corwin. Surely I left someone out, and if I did, my apologies. Let’s get into the basketball. With such a large event and it being so spread out it was absolutely impossible to cover everything. Spent the whole day at Wise, got a good look at almost everyone who played there. These teams stood out at the event as the top 10. This list is not for their body of work during the year just a combination of how they looked, their players, and how they fared at She Got Game. With 117 teams, this was a hard choice picking just 10. There were a number of teams who had a great case that didn’t make the list. Bob Corwin collaborated over a post event dinner at Chipotle. Paul VI (VA) – Went 2-0. Blew out Mary Louis (NY) on day 3 in the 30 point range. It was a 26-22 game when Paul VI went on a huge run 24-0 to close the half. Ashley Owusu was unstoppable all weekend. If it’s possible for her stock to go up, it did. On Saturday, PVI looked beatable vs South Shore (NY), going down 10 or so before unheralded seniors Rayna Barbour & Kayla Henderson brought them back going on an 8-0 run themselves. Monacan (VA) – I only saw them Friday nite, but in what Bob and I felt was the best game of the event, they opened with a barrage of Megan Walker mid range baskets, going up 31-10 versus National Christian, then held off the uber talented NCA team for the win. I didn’t see them on Saturday but word was they beat a good Cathedral (MA) team. National Christian (MD) – Although they got blown out early vs Monacan, they pulled it together and came back so decisively in the 3rd quarter, that most in the gym, thought they would win. Beat Mastery Charter (PA) the next day. St. Frances (MD) – Beat 2 good teams in NW Guilford (NC) and Boca Raton (FL). It would have been good to see the loaded St. Frances team compete with some of elite teams in the event, as they certainly have the talent and ability. Forest Trail (NC) – Won 2 games on Friday and Saturday against Tech Academy (ON) and Suffolk Academy (VA) handily. On Sunday really impressed with a win over Rock Creek Christian (MD). Delaney Rudd maybe one of the top HS coaches in the country and 2019 Kristen Deans is a rising star. Played without 2 of their best players. South Shore (NY) – The only team in our ranking that had a losing record (0-1). They had PVI on the ropes all game, and could have definitely won. Only a few lapses kept them from knocking off the current #1 team in the country. Earlette Scott and the Philoxy sisters gave PVI all they could handle. 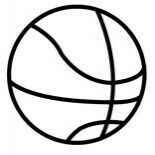 TPLS Academy (VA) – Anyone who was at Providence Day Super Scrimmage or sat near me on Sunday (Yaw, Joe Fenelon, Ro Russel), knows how much I love TRC Academy in Ontario. I really think they have 5-6 big time prospects. Although I only watched TPLS 1 time, the fact that they went 3-0 and beat TRC and a very good Bill Corothers (ON) team, is why I gave them the nod over some of the other very good teams. Coach Mike has some very nice players especially scrappy PG 2018 Jennifer Davis, 6’2 2018 shooter Madison Lowery, ODU signee Janeen Camp as well as 2018 6’4 Rachel Stovall. Blair (NJ) – Won 2 games beating Bishop O’Connell (VA) and Durham Elite (ON) solidly. Scrappy team with good prospects, especially 2018s PG Erica Martinsen, SF Sydney Brown & Post Onome Okinbode-James. Despite it being their first year together they have good chemistry. Rock Creek Christian (MD) – Played arguably one of the toughest schedules at the event with only 7 players, beating an extremely talented Kings Christian of Toronto on Friday nite then taking down a good Life Center (NJ) by a decent margin before running out of gas on Sunday vs. Forest Trail. Riverdale Baptist (MD) – It took overtime for them to take down McEachern (GA) on Friday night and then they beat ArchBishop Wood on Saturday going 2-0 at the event with a handful of D1 prospect on their roster led by 2018 post Rochelle Norris. Part 2 coming tomorrow as I take a look at some of the top 2018-2021 players at the event…stay tuned!! This entry was posted on December 12, 2016 by johnmcgraw49.